Mark your calendars, Marvel fans: Silver Sable and Black Cat are joining forces (sort of) soon. Deadline reports that Sony's Silver and Black, the superhero mash-up film that sees two of Marvel's coolest characters teaming up, will hit theaters on February 8, 2019. The film's early February debut date matches up with just one other movie: Warner Bros.' The Lego Movie 2. This could spell a bit of trouble for Silver and Black in terms of box office competition, but that almost entirely depends on the tone, narrative, and stylings studio Sony and director Gina Prince-Bythewood (Beyond the Lights, The Secret Life of Bees) decide to implement. Prince-Bythewood previously revealed that the female-focused flick is inspired by films like Thelma & Louise and Midnight Run. 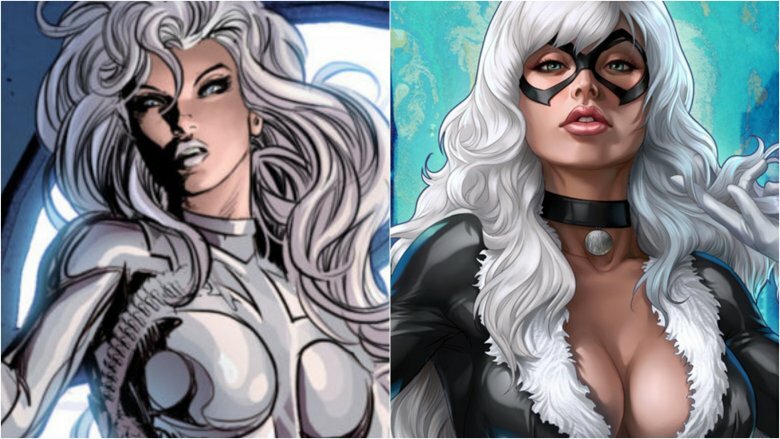 "I wanted to tell the story of two damaged women who are at war with each other but need each other to survive," she explained, later commenting that she has been exploring each character's background and origin stories to uncover how Silver Sable rose to her role as an assassin and how Black Cat was lured into a life of crime. Prince-Bythewood added that she believes both women were emotionally and psychologically damaged (to what extent remains a bit hazy) following the deaths of their parents. A darker tone would be a deviation from Sony's recent sunny outing, the Tom Holland-led Spider-Man: Homecoming. However, Columbia Pictures president Sanford Panitch recently explained that a grittier outlook is entirely the idea with Silver and Black. "Superhero movies have now transcended [to the point] where they're no longer superhero movies per se; they are essentially genre movies," said Panitch. "It's not so much that characters have a cape and fly. In Silver and Black, these women are modern and cool… they may wear costumes, but [they're] very real and very grounded." Prince-Bythewood said in a separate interview that Silver and Black is "so up [her] alley in terms of these two female characters and who they are and what they're about," and is "the perfect way for [her] to dive into the Marvel universe" and focus on two characters whom she really respects and "can't wait to bring to life." The film will reportedly feature villains Mendel Stromm, cyborg super-antagonist Gaunt, Tarantula, Scorpion, Chameleon, and crime boss Tombstone. Sony has yet to confirm whether these characters are, in fact, involved. We'll update you when an official announcement is made. While we wait for Silver and Black to premiere on February 8, 2019, check out the comic book characters who totally deserve their own movie.